Topics: Photos, Landscape Photos, and Creating A Website. Godaddy.com Inc (Arizona, Scottsdale) is the location of the Apache server. There are 2 Nameservers, ns22.domaincontrol.com, and ns21.domaincontrol.com. 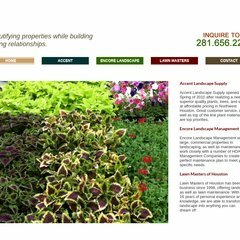 Accentlandscapesupply.com's server IP number is 184.168.192.93. PING (184.168.192.93) 56(84) bytes of data. A ping speed test response, is timed at 61.7 ms.